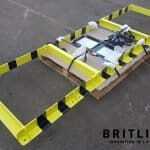 Another Britlift modular spreader system on its way to its new owner. This 50t modular spreader known as the ‘T50’ has a maximum span of 13m and can achieve its maximum capacity up to 10.5m. The client was a Crane Rental and Contract Lift operator looking to add a 50t modular spreader to their lifting equipment fleet, alongside their slings, shackles, load monitoring and other associated equipment. Following numerous rentals of a modular spreader the client realised that buying and owning one would result in a return on investment after only 3-4 uses, thus saving time and money for a relativity small initial outlay. All Britlift products are fabricated by coded welders and are fully certified to European lifting, manufacturing and wider Global standards. Britlift are fully insured as lifting equipment manufacturers and covered by professional indemnity, product, employer and public insurances. 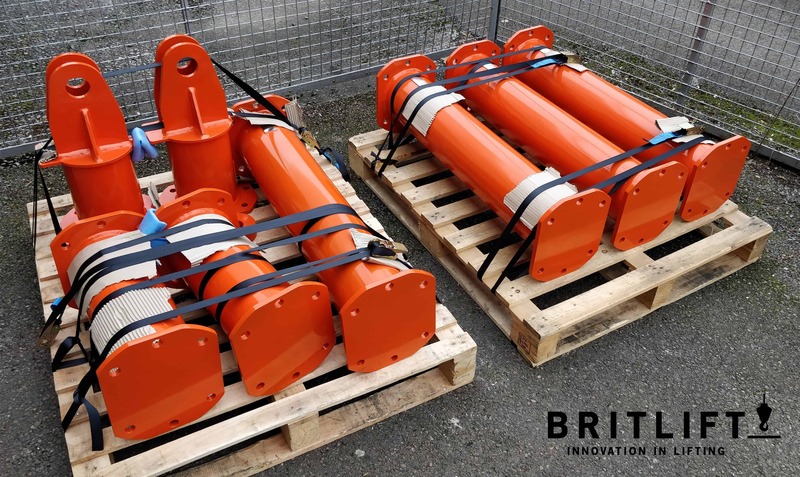 The Britlift T series is the lightest modular spreader beam range in Europe and offers capacities between 8 tonne – 1000 tonne as standard and 8 tonne – 150 tonne off the shelf. Most sizes and capacities are readily available for next day delivery within the UK, with a 4-5 day lead time for European deliveries.